When Eula Bertha Colbert was born, silent movie star Mary Pickford was a leading Hollywood actress, ragtime music was all the rage and the hottest technology for playing music was the elegant but scratchy Victrola. Women could not vote; segregation was enshrined in the South, and the NAACP was in its infancy. Mrs. Colbert, who turned 102 on Friday, January 11, has been a witness to history—including two World Wars, the passage of women’s suffrage and of course, the Civil Rights Movement and the election of the country’s first African-American president. But on Friday when she blew out the candles on her blue and white frosted cake, she simply enjoyed her moment, humming spirituals and the songs her late husband Leroy Colbert would sing to her, including BB King’s The Thrill is Gone. Mama T, as she is known, sat in her wheelchair during the party and took it all in. Her four children, Johnetta, Sandy, Tam and Aaron were on hand to mark the occasion, as well as Los Angeles County Board of Supervisors Chairman Mark Ridley-Thomas, who presented Eula with a scroll from the county. Chairman Ridley-Thomas also commended Eula for her active participation in helping foster care youth. Eula moved to Los Angeles from Alton, Illinois in 1945 after a doctor prescribed the West Coast’s fresh air for her then-8-year-old daughter, Johnetta. She was a widow and settled into a rooming house on 108th and Central. It was there that Johnetta spotted a handsome young sergeant in an Army uniform and introduced the two. “She is beautiful and you are handsome, and you are going to marry my mother,” Sandy recalled Johnetta saying. And it was true; within a few months, they were married. He was a carpenter. Eula was an avid driver, and so every summer she would pack the kids into Blue Heaven, a two door Chevy, and drive them across the country. They would spend the summer with relatives in Chicago, or Atlanta or St. Louis, where she would teach her children about their country’s history. Though her children don’t allow her into the kitchen anymore, her reputation as an outstanding cook lives on. Her meals were as good for you as they were good tasting. When her husband developed an ulcer, she changed the family’s eating habits, turning to vegetables, fruits, grains and fish, and within a year the ulcer was gone, Sandy said. “My mother’s cooking was biblical,” Sandy said, noting that her recipes for eggplant and squash were particularly tasty. She could also make a scrumptious Apricot Delight. But Eula’s menu is not limited to healthy veggies. “On special occasions Mama likes to have her little somethin’ somethin’,” laughed Sandy, noting her mother’s affinity for Hennessy. 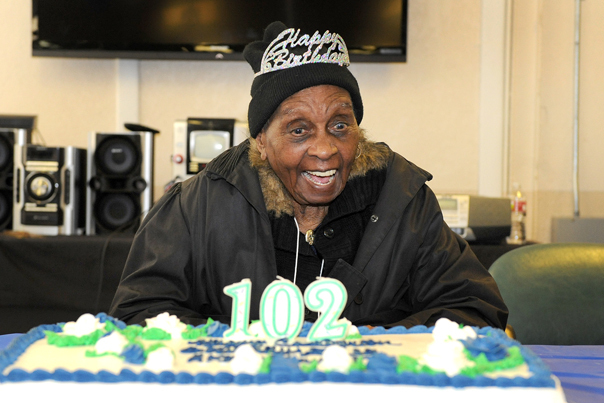 After the party Friday at the Graceful Senescence Adult Day Care center in Los Angeles, Eula returned to her daughter’s home in Compton for another party but this time with her children and more than a dozen grandchildren and great-grandchildren. 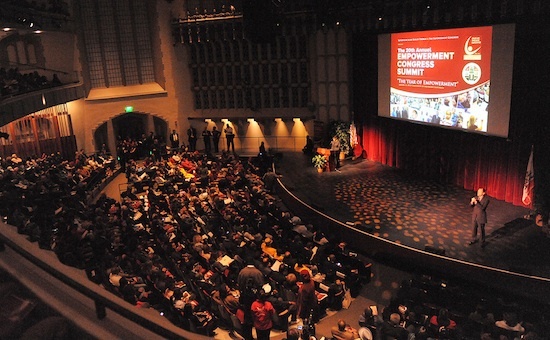 A Los Angeles City mayoral candidates forum will be held at 9 a.m. Saturday, January 19, at the University of Southern California’s Bovard Auditorium as part of the 21st annual Empowerment Congress Summit. 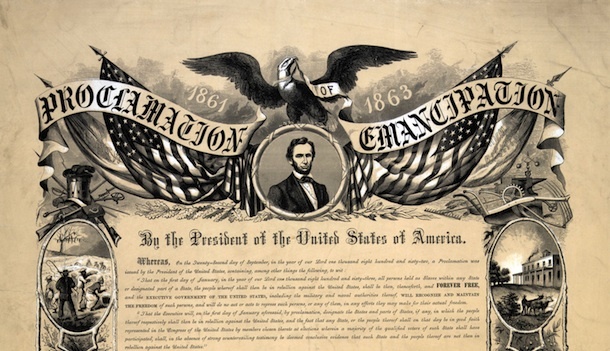 The Empowerment Congress, a civic engagement organization, is widely regarded as the forerunner to the Los Angeles neighborhood council movement. Founded by then Los Angeles City Councilmember Mark Ridley-Thomas, its mission is to educate and engage the public, teaching Los Angeles-area residents how best to access and influence government. This year the summit is devoted to helping citizens make an informed decision when casting their ballots on March 5. Los Angeles City Councilman Eric Garcetti, Los Angeles City Councilwoman Jan Perry, Los Angeles City Controller Wendy Gruel, former Assistant United States Attorney Kevin James, and technology company executive Emanuel Pleitez are confirmed to participate. Issues of particular importance to South Los Angeles and the African-American, Latino and Asian-American communities will be addressed at the event—something that sets this forum apart from other mayoral debates. Candidates also will discuss their plans for the future of Los Angeles as it relates to jobs, economic development, transportation and financial sustainability. A press availability will immediately follow the forum. For the first time in its history, the Summit also will be live-streamed. Residents throughout Los Angeles and anywhere in the nation, who have an interest both in civic engagement and the city’s mayoral race, will be able to watch the event in real time at: http://ridley-thomas.lacounty.gov/index.php/ec-live-stream/. In addition, the public is invited to submit questions for the candidates through the supervisor’s website or, as they register for the event, at http://ridley-thomas.lacounty.gov/index.php/mayoral-candidates-forum/. The morning plenary session will be followed by afternoon workshops on topics such as civic engagement, neighborhood councils, and coalition building. The Empowerment Congress was born in the aftermath of injustice and violence: the beating of Rodney King, the acquittal of the Los Angeles police officers responsible and the wave of destruction that swept throughout Los Angeles. Under Ridley-Thomas’ direction, a budding neighborhood improvement effort – initiated before the civil unrest — was formalized into the Empowerment Congress, with the motto Educate, Engage, Empower. The dynamic coalition of neighborhood groups, residents, nonprofit organizations, businesses, religious institutions, and community leaders now serves over 2 million residents in the Los Angeles County Second Supervisorial District, which reaches from Koreatown south to Carson, and Playa del Rey east to Compton. Los Angeles County has the highest population of people living on the streets in the nation, with more than 52,000 men, women and children who have no permanent shelter or place to call home. Although homelessness is an issue all throughout the county, the Second District is the epicenter of the problem, with 43 percent of the county’s total homeless population. People desperate for shelter huddle in their cars; families camp out in parking lots or in RVs along streets. Libraries, do double duty, serving both as centers of learning, but also shelter from wind and rain for those with nowhere else to go. In Athens, families have shared living space with livestock, setting up in horse stables, and children have been found living in unconscionable conditions, including a six-month-old baby, who, along with the mother, was living in Lawndale’s Alondra Park. While the Second District has increased its resources by building nearly 30 new permanent supportive housing units for the homeless in the past 3 years, including one on 28th Street in the historic YMCA building and the Star Apartments downtown, the need remains enormous. On January 31, there is a chance to help. Los Angeles County Board of Supervisors Chairman Mark Ridley-Thomas is asking for volunteers join him and turnout for the biennial Los Angeles Homeless Services Authority’s Homeless Count. The count is a crucial component not only in determining how many people in our midst are without shelter, but it is an essential tool used to the appropriate services and assistance. Every two years, volunteers with the Los Angeles Homeless Services Authority (LAHSA), go out into the county to gather on-the-ground data on homelessness. By knowing who and where homeless people are, the county is better able to plan and identify resources to provide vital services, and ultimately move families and individuals into housing. 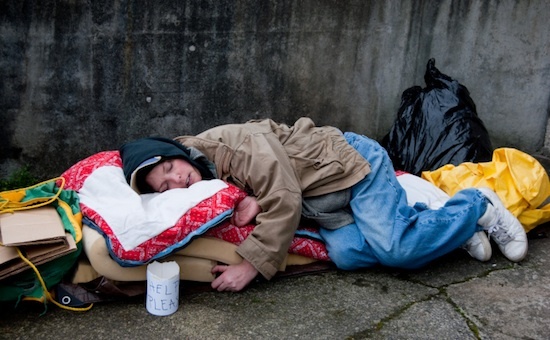 The homeless count helps to determine the area’s need for housing, shelter and service programs to receive funding from the federal government. This need is particularly urgent for the Second District. With the tragedy in Newtown heavy in the air, Supervisor Mark Ridley-Thomas joined law enforcement officials, city and other county leaders to urge New Year’s revelers to celebrate responsibly and forego one of the most season’s most dangerous and deadly rituals: shooting a firearm into the air at the stroke of midnight. Los Angeles Police Chief Charlie Beck elaborated, emphasizing that a bullet falls to earth at speeds of up to 700 miles per hour — more than enough force to kill. 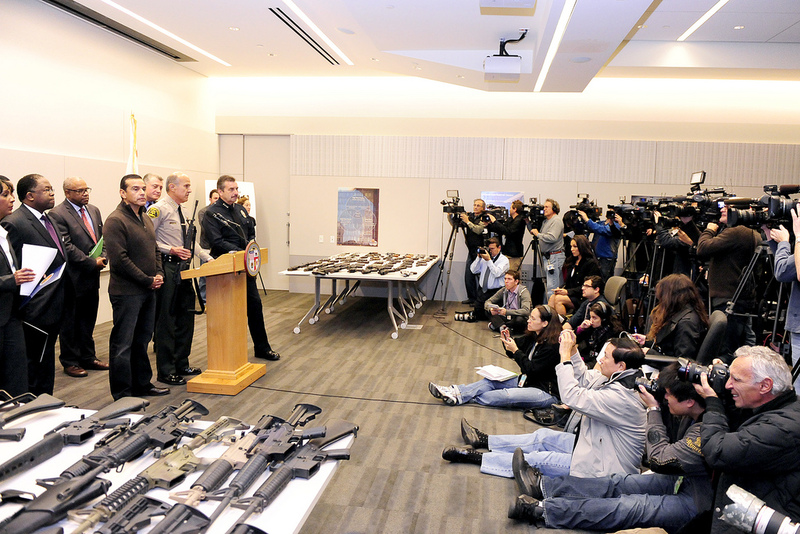 With guns collected from the Los Angeles City gun buyback held Wednesday on display, Beck, Sheriff Lee Baca, County District Attorney Jackie Lacey and City attorney Carmen Trutanich also emphasized that discharging a firearm, even when aimed up into the air, is a felony and subject to stiff consequences. “Don’t celebrate New Year’s Eve in my jail or in Lee Baca’s jail,” the police chief said. “Think twice about it,” Lacey urged the public. “Don’t be reckless.” She added that offenders risk a $10,000-fine, three years of incarceration and forever losing the right to own a gun.